Forty-five years ago when I decided to announce to the family that I wanted to be an appraiser, my father-in-law, a crusty ole farmer from northern Indiana, said the appraisal business was nothing more than a scam. “I just bought my neighbor’s farm” he said. “He and I agreed $1,000 an acre was fair. Why should I pay some appraiser to tell me it is only worth $900 an acre?” A good question. My answer then is close to what I would say today. My job as an appraiser is to help the lender understand what the typical buyer would pay for the site if, heaven forbid, the borrower never makes that first payment. The lender doesn’t care what the borrower paid, or what it cost to replicate, or what conditions were included in the transaction – they just want to be assured that if they get the property back, they can sell it for enough to pay back the debt. Actually, the question is just as pertinent today as it was then – except the typical scenario is the property has been listed for $150,000, there is a full price offer, a bidding war erupts, and before the dust settles, there is an accepted offer of $165,000. A detailed comp search shows there has never been a sale in the neighborhood of over $145,000 and the best, most recent, most proximate comparable sale is the house next door that just sold for $140,000 - $25,000 less than the accepted offer. A quick call to both brokers involved indicate that, yeah, this is a bit unusual, but hey, there are plenty of supporting sales outside of the neighborhood that have closed over the last several years. Surely, if you look hard enough you’ll be able to make this work. No. It is not our job to help make anything “work”. Bidding the final price up to something like 15% to 20% more than the list price is not typical and, in all likelihood, represents some undue stimulus. Hot seller markets push prices but not necessarily values. Stand your ground. Appraising within the basic principles not only protects us, it protects our clients. We’ve often heard from Appraisers and Brokers who question what benefit their various memberships really provide them? 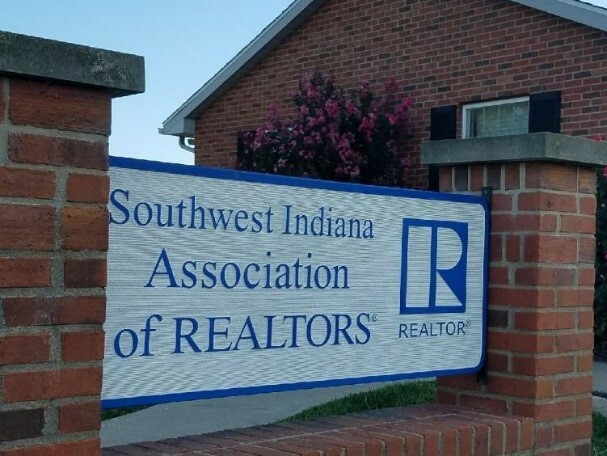 We have just completed an engagement with the Southwest Indiana Association of REALTORS which illustrates one of the most tangible benefits we’ve encountered- FREE Continuing Education! Over the last couple days, the SWIAR provided 14 hours of continuing education, as well as a delicious lunch, to all interested members. This offering was met with such enthusiasm, the Association has decided to host a similar event on February 22nd and 23rd, 2018- both the "2018/2019 USPAP Update" and "Litigation Appraising" will be offered over the course of these two days. If you are a member of the Southwest Indiana Association of REALTORS, stay tuned for details about this valuable offer! Is your office or organization interested in offering this amazing benefit? We are happy to bring our courses to you. Just give us a call to discuss specifics at 317-610-6689. Is the Neighborhood truly similar and competing? Initially, I didn’t think much of the conversation. In all honesty, I was just happy I had the support for the adjustment and wasn’t in trouble with my client. But the more I thought about it, the more I realized how unfortunate the situation really was. Here is a client who is relying on his appraisers to provide accurate and reasonable values. But if major adjustments are not being developed or are ignored altogether, how accurate is the value opinion? This conversation was one of a few motivating factors which prompted me to create a class titled, “Supporting Appraisal Adjustments”. The purpose of this course is to offer help to any appraiser who may be struggling to develop reasonable adjustments in the sales comparison analysis. Likewise, the class will help an appraiser who is seeking a quicker and/or easier way to develop the various adjustments. So how do we determine whether neighborhoods are truly similar and competing and how is the adjustment developed if they are not similar? Well…you’ll need to attend the class to find out. But, the good news is the adjustment CAN be developed easily and quickly. The bad news…it does require some math. But don’t let that scare you- I’ve developed a spreadsheet that automates the math for you! Our course offering, “Supporting Appraisal Adjustments”, teaches the logic behind the adjustments and how to develop and support reasonable adjustments. We walk you through the spreadsheet including how to input the data and how best to apply the results. Also, we give the spreadsheet to use in your own practice. Check out our website at www.educationresource.com to register for remaining course dates/locations in 2017. Do you have an office with several appraisers/brokers? Give us a call and we will be happy to come to you to teach for the day. Look forward to seeing you in class! For those of you holding an Indiana Real Estate Broker’s license…..June 30th is the deadline to have completed 12 of your 24 CE hours for this cycle. We are happy to report that all Education Resource courses are now approved for both Appraiser and Broker Continuing Education- we have several course offerings rapidly approaching in May and June. For those of you holding both an Appraiser and Broker license, this means you can complete this year’s Broker CE requirement, while simultaneously accumulating hours for your Appraiser CE requirement, which will be due June of next year. Check out our upcoming courses and register directly online at www.educationresource.com or call us at 317-610-6689. If license is “Active” or “Unassigned”, the CE must be completed within the 7/1 to 6/30 timeline. CE requirements also apply to licensed trainees from the date of initial licensure. If an appraiser receives their license or certification within the last 185 days of a two (2) year renewal cycle, they are not required to obtain continuing education in the next two year period. Two to seven classroom credit hours can be obtained by attending the Real Estate Appraiser Licensee and Certification Board meeting for an hour for hour credit. Have you ever struggled to determine an appropriate adjustment? Ever wish you had a few easy steps for determining an appropriate adjustment? If so, we have a course offering to provide you with answers- “Supporting Appraisal Adjustments.” We’ve received an overwhelmingly positive response to this course so far in 2017 and have added a couple offerings to ensure that anyone who is interested will be able to find a date/location that meets your needs. Take a look at our offerings below- registration may be done directly from our website or give Jen a call at: 317-610-6689. Don’t see your desired location listed, but you think there might be interest in your area? Just let us know and we will consider adding it!